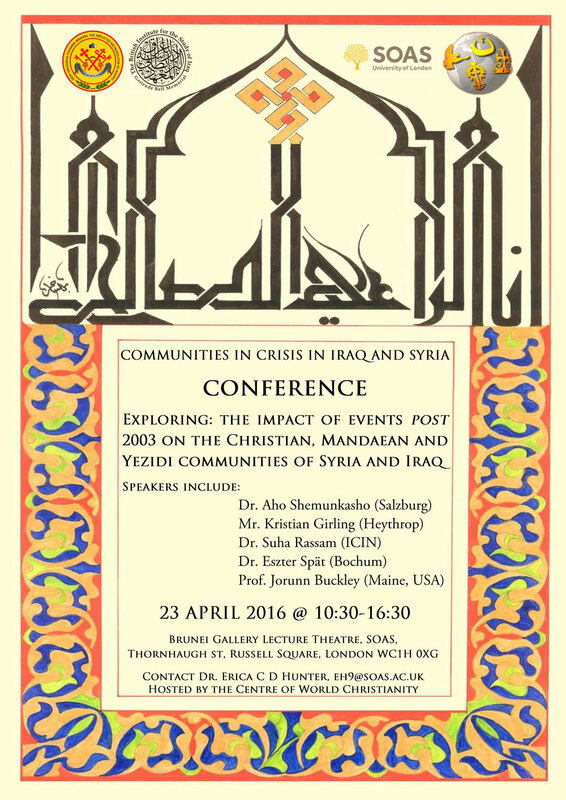 Friday April 22nd and Saturday April 23rd 2016 at the Brunei Gallery Lecture Theatre, SOAS. This one-day international conference ‘Communities in Crisis: the aftermath of 2003 in Syria and Iraq for the Christian, Mandaean and Yezidi communities aims to explore the challenges regarding the maintenance and celebration of ritual amongst the Christian, Mandaean and Yezidi communities in Syria and Iraq. In particular, it asks how communities meet the challenges of maintaining ritual and how have the diaspora communities responded to the changing needs.